One of the more controversial election promises from New Zealand’s Labour Party was the establishment of an advisory board to analyse the fairness of New Zealand’s tax system. In February, the Tax Working Group released their final report and, as expected, recommend that New Zealand introduced a capital gains tax. In this article, we answer the commonly asked questions about the capital gains tax proposed and how it might impact New Zealanders if introduced. A capital gains tax is a tax on the profit realised on the sale of non-inventory assets such as property, shares and business assets. For example, if Grace Smith buys 100 shares in The A1 Milk Company at $10, and later sells them for $20, she must pay tax on the $1,000 profit that she realised from the sale. Many New Zealanders have aggressively opposed the introduction of the capital gains tax due to the potential impact on small business and the removal of our most exploited path to wealth – property. 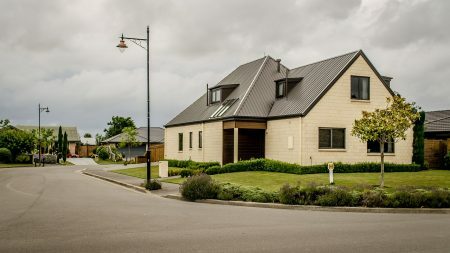 New Zealander’s love affair with property has seen many use rental properties as a backstop for retirement or renovate properties repeatedly and flick them off for big, untaxed profits. With the proposed capital gains tax applying to all property (aside from the family home), rental property investors would be worse off when the profits from the sale of those properties are taxed. Many middle-class New Zealanders who have worked had to build a portfolio of properties (or a bach) believe they are being unfairly punished for a life of hard work. Small business is another cornerstone of the New Zealand economy and some believe the capital gains tax could stifle investment in fledgling businesses as investors avoid supporting start-ups with capital, and hinder the many New Zealanders that work from home and deduct some of their living expenses from their taxable income. How does the proposed capital gains tax stack up? intangible property and business assets. Portfolio investment entities (PIE) including KiwiSaver schemes will pay unrealised capital gains tax on changes in the value of the New Zealand and Australian shares. Importantly, the recommendation for tax on unrealised gains means that tax would be payable (or available for refund) if a fund recorded gains or losses in the value of the Australian and New Zealand assets in its portfolio even if they had not been sold. Many younger New Zealanders with their KiwiSaver funds in growth funds made up of a large portion of shares could be worse off in the long run if the capital gains tax captured KiwiSaver funds – although the Tax Working Group also recommended increases to the Government member tax credits which could offset any tax the PIEs pay. How will the tax be calculated on assets that are already owned? The TWG specifically recommend against adopting the Australian approach of only taxing assets acquired after the date of introduction. Therefore, taxpayers will be taxed on assets they already own, but only on the gains that they make after April 2021 – the “valuation day”. Taxpayers themselves would have five years to get a value their assets which will add significant cost to most taxpayers. Who will be subject to the capital gains tax? All New Zealand tax resident will be subject to CGT on worldwide assets. Non-residents will be subject to CGT only on New Zealand-sourced capital gains. Capital losses are likely to be capable of set-off against both ordinary and capital income i.e. they should not be ring-fenced and claimable against only against capital gains. However, there are several exceptions proposed to this rule – the most notable being that capital losses from personal use assets cannot be claimed against either ordinary income or capital income. How has the recommendation been received? New Zealanders are divided over whether a capital gains tax is fair. Some argue that it will hit middle New Zealanders the most and not redistribute the wealth as hoped, while others agree that it will have the intended effect of expanding the tax base of New Zealand’s wealthy, rather than leave the country’s tax bill up to salary and wage earners. Newshub’s most recent research suggests 54% of voters asked voters do not support a capital gains tax. Did the entire Tax Working Group agree on the recommendations? No. Tax Working Group members Robin Oliver, Joanne Hodge and Kirk Hope all disagree with the TWG’s recommendation to introduce a comprehensive CGT regime. Their collective view is that the costs of introducing a CGT regime would clearly outweigh the benefits. Such a regime would impose efficiency, compliance and administrative costs that would not be outweighed by the revenue collected.